You will ALWAYS be Bobby Boy to me! And you haven’t changed a bit since your Bobby Boy days. I have friend who has a MAJOR brand accordion similar to the one you posted here. We have been trying to find more about the history of it, but I cannot find anything other than this blog with that picture so far. 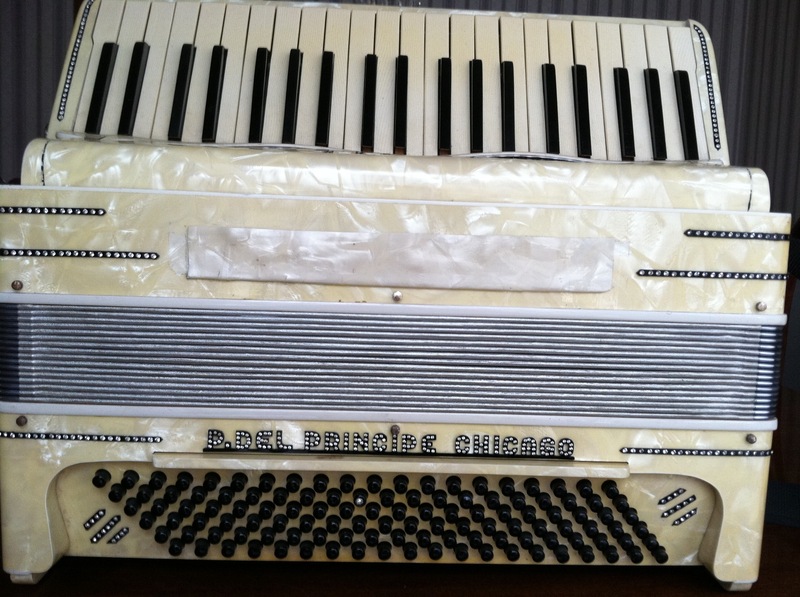 Coincidentally I was looking up Del Principe accordions because I almost got my hands on one at one point, and I ended up finding the “MAJOR” brand I have been searching for. My dad knew the Del Principes when he lived on Taylor Street. 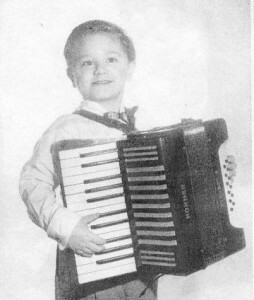 When he and my mother rented an apartment on Quincy Street, we were two blocks from the Del Principe accordion store. I started taking lessons from Miss Coletta at the store at 8 and by the time I was 12, I was playing at wedding receptions, anniversary parties, etc. 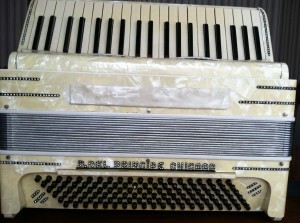 using a Del Principe accordion. 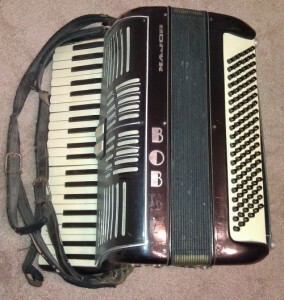 Paid my way through college with my accordion, then put it away for many years. One day, my wife and I stopped at a tavern in Wisconsin for lunch. 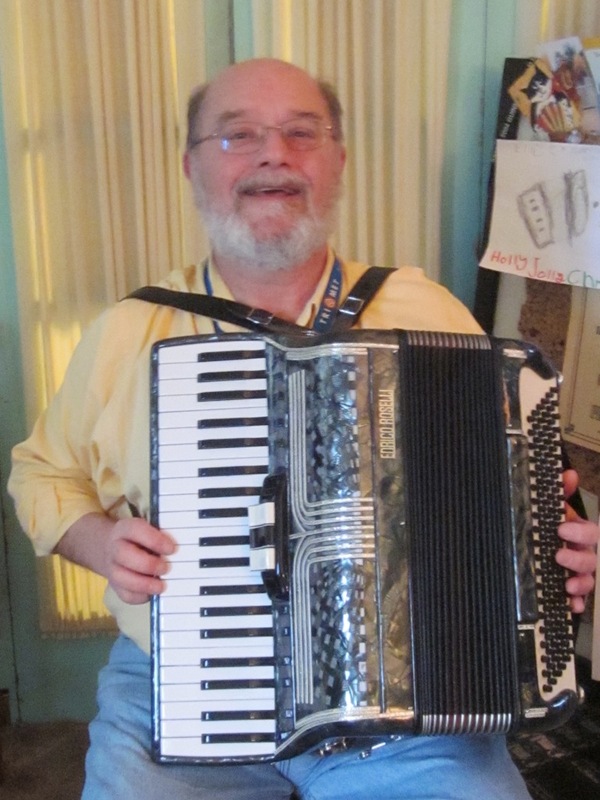 A polka band was playing and I said to my wife, “I can play better than that accordion player.” So began my second career as a musician. Today, I play at area restaurants and parties here in North Carolina. 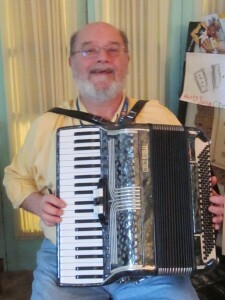 The accordion is considered almost a novelty instrument in this area, since most of the bands play bluegrass on instruments like guitars, mandolins, fiddles, etc. Anyway, I thank your family for giving me a life full of music. PS-When one restaurateur asked for a song list, I started typing and when I got to 500 songs, I said that’s enough.